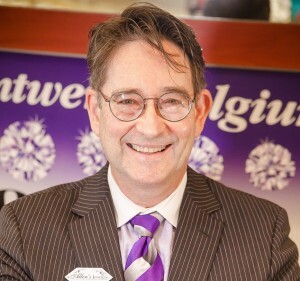 The Allen’s Jeweler’s team attends numerous buying conventions every year including our annual trip to Antwerp, Belgium to purchase diamonds directly from site holders and Idar-Oberstein, Germany to select colored gems of the finest cuts. Dennis Marshall, our owner and in house custom jewelry designer is a skilled artisan and stone setter. Dennis has been doing most of our design and casting work for over 12 years and has more than 35 years experience designing and making “Custom” Jewelry. We are also pleased to introduce CAD (Computer Aided Design) and rendering as new custom design tools. With Dennis’ ability, and these new tools, your imagination will be allowed to flow into your own custom designs. Every Wednesday is “Design Day” when Dennis expects to spend most of the day working with customers and their existing pieces of jewelry in order to help you create the Jewelry of your dreams; in other words the ultimate in recycling!! So, go through your drawers and jewelry boxes, and let our design team help you create that “One of a kind” piece. Stop by our store off of Atlantic Beach Blvd. near Jacksonville Beaches soon and get your creative juices flowing. Learn More About Our Unique Jewelry Products and Services.